What is an appraisal & how does it impact a real estate transaction? Knowing the value of your property is important when it’s time to sell your house, and when you are trying to get a mortgage for it! 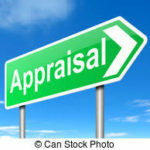 There are many subjective parts to an appraisal, but the process itself is pretty straightforward! An appraiser is hired by the buyers’ bank/lender (typically within 15-25 days after a seller accepts an offer) to complete the appraisal. The appraiser schedules the appointment with the seller’s agent, comes to the seller’s home and completes an interior and exterior visual inspection of the property. They typically take photos and measurements as well. The appraiser will then complete the remainder of their appraisal assignment from their office. It is typical for appraisers to take 1-2 weeks to return the appraisal results to the buyers’ lender. In Pennsylvania, the appraisal is paid for by the buyer, and therefore, the property of the buyer(s). This means that it is typical for a seller to never receive a copy of the appraisal. The appraiser is working for the buyer’s bank to justify value based on the buyer’s loan amount and terms. The seller (& seller’s agent) will typically only be advised that the appraisal has “met value” (or not) – and that there are (or are not) required repairs in order for the bank to fund the loan for the buyer. 🔨 Most appraisal-required repairs are related to deferred maintenance and/or safety hazards, and it is fairly common for buyers to ask (and expect) that seller(s) will remedy those issues. Upon completion of the repairs, the appraiser must revisit the property, take photos and provide verification to the lender PRIOR to closing – that the property has been repaired as required. Market factors and buyer demand/desires for certain features can play a big part in home values and have an impact on an appraisal. Age of the home, of the construction materials and the mechanicals. The air conditioning/heating, plumbing and wiring will also be considered. Features, such as number and size of bedrooms, bathrooms and closets may also be a factor in determining the home’s value. The presence or absence of a garage, attic and/or basement will also be calculated as the appraiser works to determine the value of your home. In addition to looking inside your home and inspecting it for structural components, the appraiser will also look at the outdoor areas of the property. The location and proximity to neighboring homes may be considered. How many homes are for sale, and the rate at which they are selling, as well as sold and settled properties in your neighborhood and/or nearby radius can also have an impact on your home’s valuation! Clean up. 🧹 As simple as this may sounds, an appraiser will have a better impression of a clean and neat home versus one that is dirty or messy. Improve appeal. 🌳 🌸 Consider a fresh coat of paint or fresh landscaping of the yard and flowerbed. This may increase the appeal of the home. If that isn’t possible – we recommend (at minimum), a fresh mowing of the lawn, and a thorough cleaning of the home (inside & outside! ), plus removing clutter and excess (inside & outside). Depending on your location, tax assessments are generally done with technology-generated data – and follow strict guidelines. However, the data is typically without the ability to make subjective decisions about improvements or condition of the house(s). 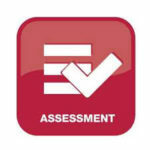 Because of the limitations within the assessment model, it should not be relied on for an appraisal (or for guidance on what to offer). Be available to answer questions they may have, but we recommend that you allow them space to inspect the home, as they know precisely what they are looking for. The buyer could pay the difference in cash. (between the appraised value and the purchase price). In reality, industry professionals acknowledge that the true value of a home is what an able buyer is willing to pay for the home, and what a seller is willing to accept for the home. In a nutshell, this, once again, is a critical part of the process – for which you should seek counsel from a Realtor with proven experience. When you’re ready to sell and/or buy, please contact us at 717-723-9080! We’d love to help!